I made these granny chic tea cosies a little while ago. I think they are pretty cool and look great on a tea pot. Imagine a lovely plate of homemade cookies next to them and some Earl Grey in the tea pot…. 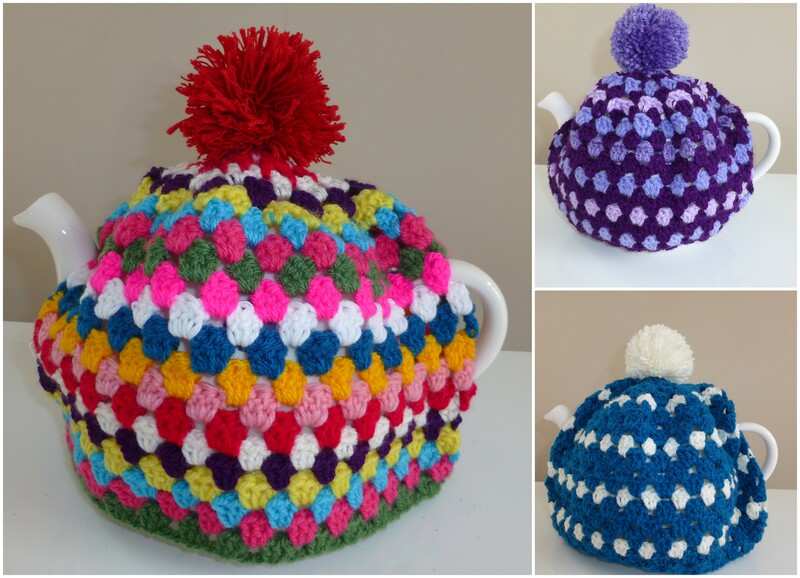 Well they seem to be much more popular now as hats and I’ve had a couple of custom orders to make them as hats instead of tea cosies. Isn’t it funny how things turn out? Here’s a little baby hat I made for a boy, replacing pink with bright greens and blues. 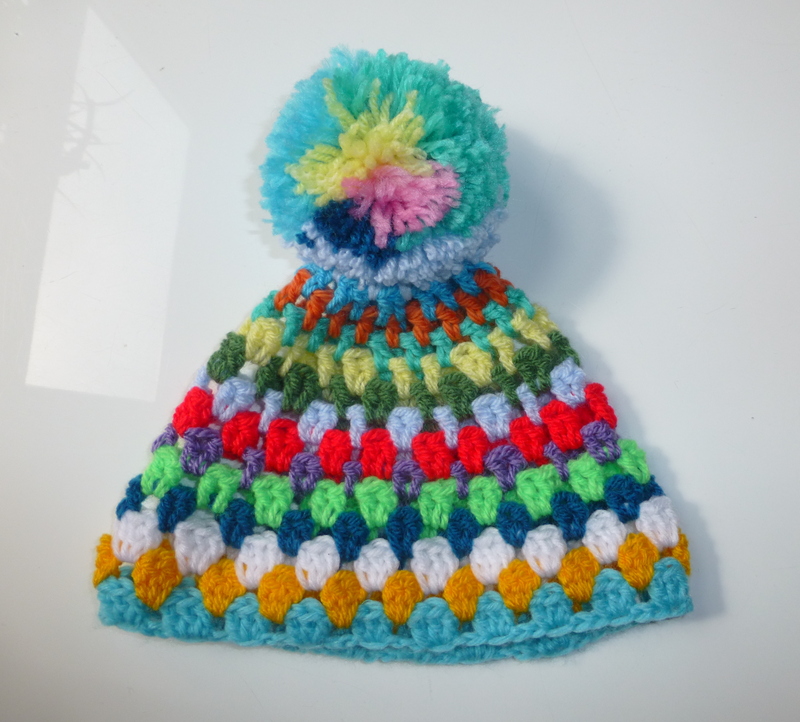 I also added a nice big rainbow pom-pom!